SPOKANE, Wash. – A portable use-of-force simulator aimed at launching a new era in police training is being rolled out by Washington State University. PULLMAN, Wash. – Changes in law enforcement to meet societal needs and demands will be discussed by Pullman and Washington State University police chiefs at 7:30 p.m. Wednesday, Oct. 21, in CUE 203 at WSU. 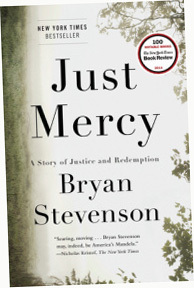 The free, public talk is tied to WSU’s common reading, “Just Mercy,” by Bryan Stevenson. SPOKANE, Wash. – Participants in an innovative Washington State University study of deadly force were more likely to feel threatened in scenarios involving black people. But when it came time to shoot, participants were biased in favor of black suspects, taking longer to pull the trigger against them than against armed white or Hispanic suspects. To improve emergency communication abilities, Washington State University has installed a new siren/public announcement speaker system on its Pullman campus. The directional speakers — each rated at 115 decibels — were mounted last week on the roof tops of five buildings. The speaker manufacturer, Acoustic Technology Incorporated Systems, will be on campus testing and adjusting the speakers later this week for volume and direction. “We want everyone in the community to know that when they hear sirens sounding this week, it is just a test, not an emergency,” said Chris Tapfer, emergency management coordinator.